I'm sure that you don't need us to tell you that the Tour de France is coming to Yorkshire this weekend, but naturally we are very excited. 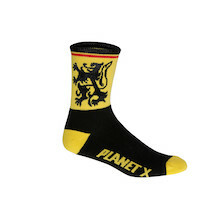 The biggest sporting event in the world is passing just down the road from Planet X HQ in Sheffield so of course we're getting involved. We've set up a weekend of camping and festivities on the route in Bradfield, we're hosting pro athletes at our Sheffield showroom and we'll also be watching the race right on the Stage 2 finish line in Sheffield. Our 3 Night VIP Camping Package takes place in an exclusive camp site in the middle of Bradfield village, 180km into Stage 2 of the Tour. With parking, bars, food and proper showers and toilets, it's a luxury package that take the hassle out of watching the tour. No need to stand side of the road hours in advance to reserve a good spot; you'll be camped there already! There will also be a 8m cinema screen showing all the TV footage so you won't miss a second of the action. Reservations for Camping places closed at midnight Wednesday. You can come Sat urday and Sunday to the village hall. We have a big screen and bar bbq included. Tickets are available in advance on tdf.planetx.co.uk or you pay on door but hurry as tickets are limited. On the Saturday we'll be joined at our Sheffield Showroom by our special guests for a chat. Legendary sprinter and Yellow Jersey holder Alberto Elli and former US Postal professional Jamie Burrow will all be in attendance. Come along for some insider tips, behind-the-scenes anecdotes and a look at the best Planet X products. Sunday is when it all kicks off proper, with Stage 2 of the Tour de France finishing at the Don Valley Bowl in Sheffield. 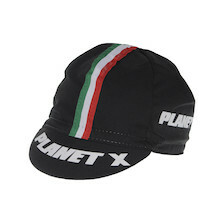 The full Planet X Roadshow will be in attendance with an expo of all our best bikes and a host of bargains, including our legendary three for a fiver pick 'n' mix selection of cotton caps, musettes, beanies, baseball caps and stuff to keep the kids happy without breaking the bank! We'll be well-placed, right next to the beer tent (importantly) and also near the big screen provided by Sheffield Council. And when we say big, we mean big. It's the world's biggest portable LED screen - 100m² of cycling action! So grab a beer, grab some bargains and see the peloton cross the line of what is set to be the most exciting sporting event Yorkshire has ever seen! Unfortunately our Sheffield and Barnsley stores will not be open on Sunday 6th due to Tour de France road closures. It will open as normal on Saturday and our Edinburgh store will be open as normal all weekend. To celebrate the Tour we have reduced 100's prices across the range, check out the Tour de Yorkshire Sale.